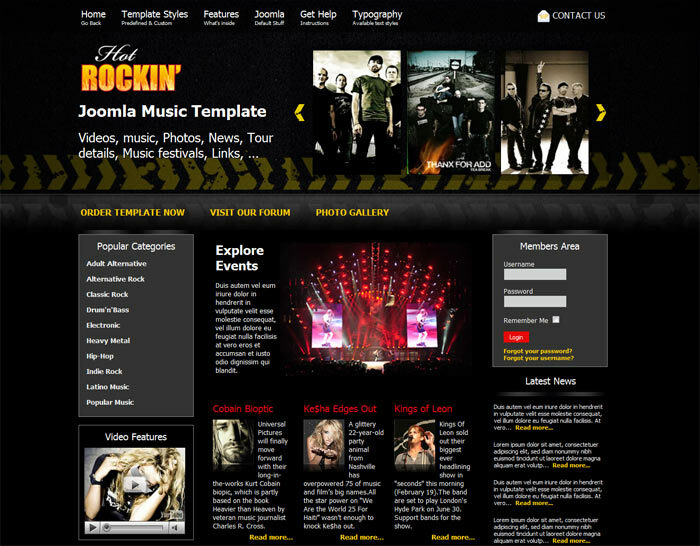 We are excited to present new Joomla Music template - Hot Rockin'! We worked hard to make it as customizable as possible. As you can see, the backgrounds (if enabled) are pretty complex. 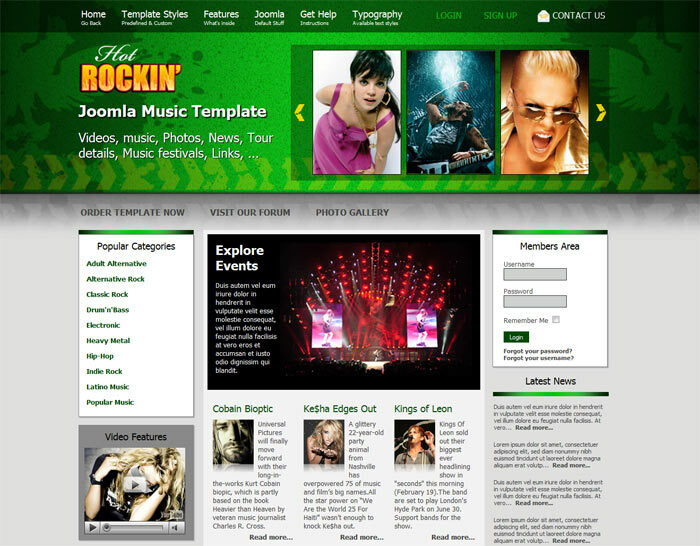 However, this template still have the extraordinary feature that all our templates have: You can select ANY color. 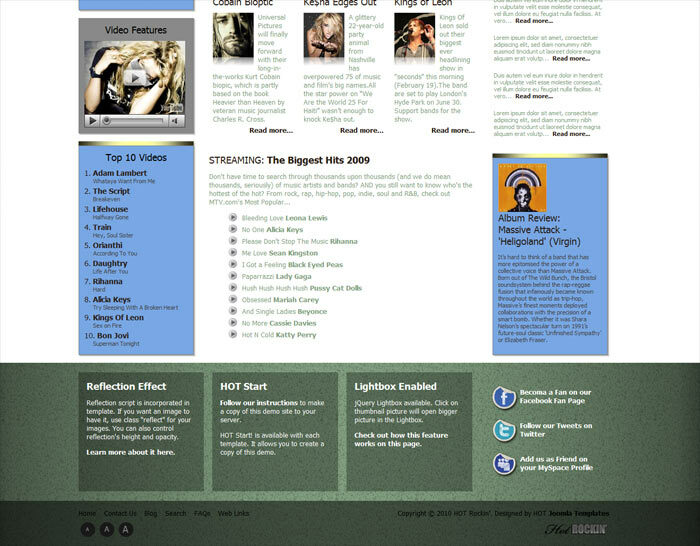 The latest update for this template has been released on February 2015. 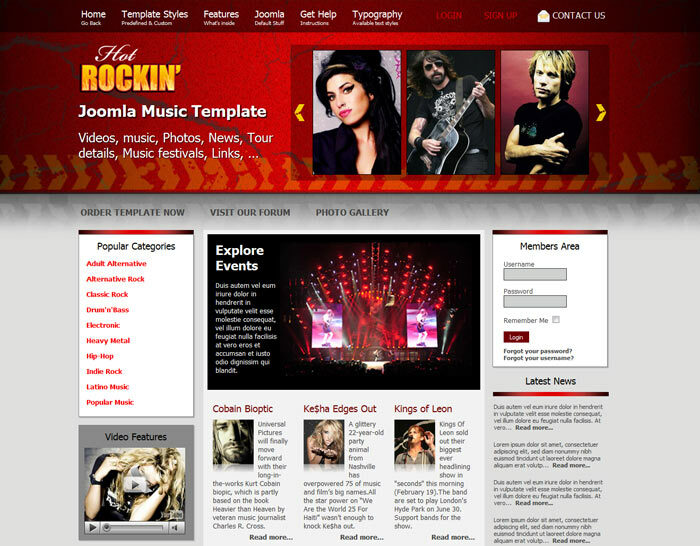 Hot Rockin template is now responsive in version for Joomla 3.x and later. Responsive layout and 100% tableless CSS code. Validates with CSS Level 3. Hot Joomla Carousel and Hot Joomla Gallery extensions pre-installed. 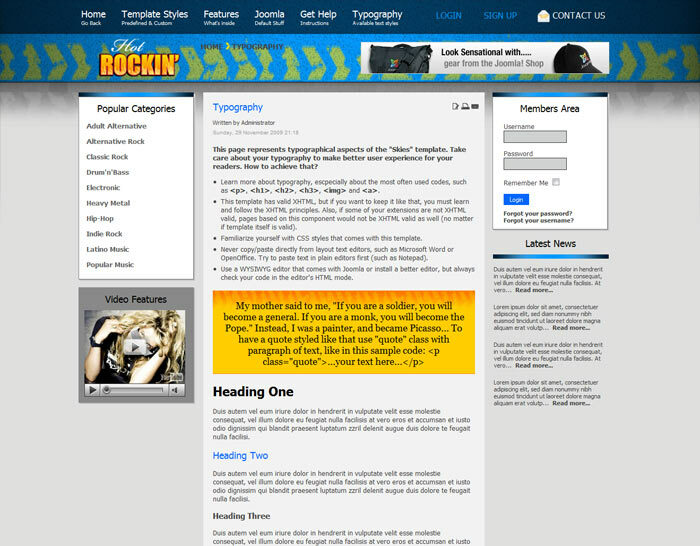 Custom page width and left/right columns widths. Unlimited colors via template parameters, choose your template colors with ease, plus 5 pre-defined styles. Lightbox, Reflection and Font Resizer functions enabled. 4 Menu effects: Fade, Scroll Down, Drop-In, No Animation. PSD, AI and fonts are available. Tested in IE7+, Firefox 3+, Chrome, Safari, Opera 9+. Tested on iOS and Android mobile devices.